Will victors choose to court Sunni minority, or fight them? 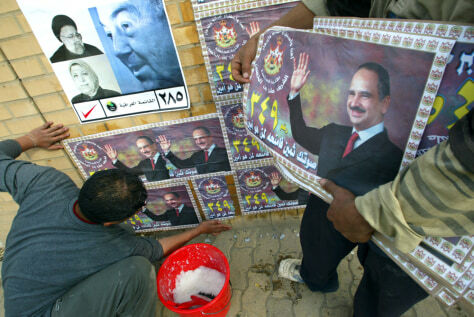 Iraqi workers put up election posters in central Baghdad. Some 7,700 candidates are running for seats in the 275-member National Assembly.